Confused about whether to go to classes or have a trainer come to you? This is personal decision and there are certainly benefits to both. Here are some good reasons why in-home dog training or having a trainer come to you is often the most effective and easiest way to establish a solid foundation and create the dog you want, one you will enjoy living with, both at home and out and about. Is in-home dog training better than dog obedience classes? Having a specialist trainer or behaviourist come to you and work with you and your dog personally in your own environment is an advanced, fast track alternative to going along to weekly classes for months on end. This is training on speed dial, so you can get on with enjoying each other as much as possible. Most clients are shocked at how quickly they see results. A knowledgeable, experienced trainer should be able to resolve most issues in 1 – 3 sessions. Having a trainer come to you will teach you to do the ‘same thing differently’, rather than doing extra or separate training. Every moment you are with your dog you are teaching them, not just once a week at the local oval! To really benefit you should be able to incorporate dog training into your normal lifestyle. This is probably the most important concept to understand. It makes sense that if most of the time you spend with your dog is at home, then this is where your leverage and effort should be concentrated. Having a home consult can show you, for eg, how to greet your guests properly, so your dog waits behind you politely until you give them permission to hello. Or how to prepare and begin a walk so your dog understands to follow you calmly. Before you send your kids off to school to learn how to read and write, there’s a bit of preparation! First comes life skills! Establishing important concepts like trust, respect, self control, self responsibility, problem solving and understanding boundaries, rules and consequences are vital if we want our kids (and our dogs!) to develop into balanced, productive, likable members of society. We liken group obedience classes as similar to a classroom environment. The smartest kid in the school can easily learn a whole heap of flashcards and formulas, but still go home and be out of control or disrespectful. An educated dog is not necessarily a well behaved dog. Classes are great to offer your dog extra stimulation, fun and social enrichment, but if your dog doesn’t respect you or has no self control, these classes won’t be of much benefit at all, and can be stressful for both you and the dog. Teaching your dog a lot of tricks and commands is irrelevant if they are stealing socks and jumping on your guests when you walk outside, and ignoring you around distractions. Relationships and attitude need to come first. Our advice is, give your dog a solid foundation and teach LIFE SKILLS first. There’s a saying that I love that I heard from an old horse trainer – The Wider the Foundation, the Higher the Peak. Dogs in packs basically live and think as one unit. For maximum effectiveness, everyone needs to be on the same page. We encourage everyone in your family to be involved with the training and educating. Rules and boundaries only work if they are consistent and firmly adhered to by everyone in charge (which should be all the humans over the age of about 10). For this reason classes are limited as there is only one person at a time able to be involved with the dog. The overall dynamics in your household are completely different to the dynamics in a group class, and this is where the dog needs to learn new associations and where you need to learn how to respond to create the behaviour you want in the place it is occurring. Classes won’t help you know what to do when your dog chases or nips your kids or when they gallivant through the house stealing socks and undies. A home consult gives the trainer the ability to see what’s happening in your day to day lifestyle and give you the tools to correct things at the source. The other obvious advantage here is that it’s a lot more FUN for the whole family to be involved! Sessions Are Tailored To YOU. Every family and dog is different, and so a home consult is designed to find the right “formula” for your situation. If you have 3 rowdy children, a busy lifestyle and a young puppy, then you’re going to need different tools and management skills than if you are a retired couple with a 3 year old rescue dog with existing issues. It is important for your trainer to adjust and find out about your lifestyle, the personalities in your family, the temperament of your dog (s) and the behaviour and habits you want your dog to have. Do you want to have your dog inside most of the time and be allowed on the furniture? Do you want an outside dog that comes inside sometimes to quietly watch TV with you? Dogs, like us, have a basic hierarchy of needs and things you need to provide for them in order for them to be fulfilled, and depending on your lifestyle, these will need to be adjusted to keep your dog happy and balanced. Some dogs will need extra mental stimulation, some dogs need extra social contact and affection and so on, and each family will need different tools and ideas. It’s the overall picture that matters, when we look at and recommend strategies in a holistic way, we can address things at the foundation level instead of running around trying to bandaid symptoms. You are able to practise real life situations. In-home consults should certainly include working on things at your home, but if you are having issues out and about, then they can and should also include outings that you and your family would normally do and normally want to go – such as the beach, the local park, visiting family and friends’ houses, cafes, or walking around your local area. This is where you will encounter variables and unknowns, such as new people, dogs, smells and noises. Teaching your dog how to behave nicely and feel secure when out and about with you is not just about “training” and “drills”, it is about things such as: who has had success negotiating this situation before, who is in charge at this moment, who is making the decisions and who keeps the rest of the pack safe ie who is protecting who. To a dog, everyone outside your pack can be a potential threat (or if you have a super friendly dog, a potential member of their fan club!) and they are looking to you to guide them and take control. For this reason, your trainer should observe you and your self-conduct when you are also out and about with your dog in your normal life. Most dogs feel considerably more defensive and/or vulnerable when in a new situation (out of their comfort zone) and most owners are completely unaware of the messages they are giving off through their own body language and energy and the profound effect it has on their dog. It is crucial that your dog is frequently socialised if you want to enjoy taking them out and about with you in public places (and have your dog enjoy this also), however once you are able to do this confidently, we find that most owners are able to find more than enough dogs to walk past, say hello to and/or have a play within everyday situations. YOU Are Coached and Educated, Not Just Your Dog. Educate and empower yourself and become someone worth following! If you need a handful of treats before your dog will listen to you, I’m sorry to say, but you still have work to do. What if your kids wouldn’t listen to you unless you had pocketfuls of lollies? 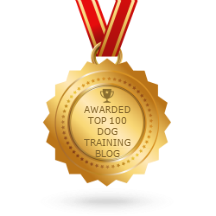 A good trainer will show you how to impress your dog, and help you develop qualities and behaviour that will allow your dog to WANT to co-operate. Ever seen Supernanny? She doesn’t just show up and ‘train’ the children. That’s not the problem. They are a reflection of their environment and the messages they are receiving. She shows the parents what to do, how to improve their communication skills and how to respond rather than react. It’s not just about the dog. Get your foundation sorted first. Then – if you decide to – you can build on this foundation with more advanced and specialised training. But it all begins at home.